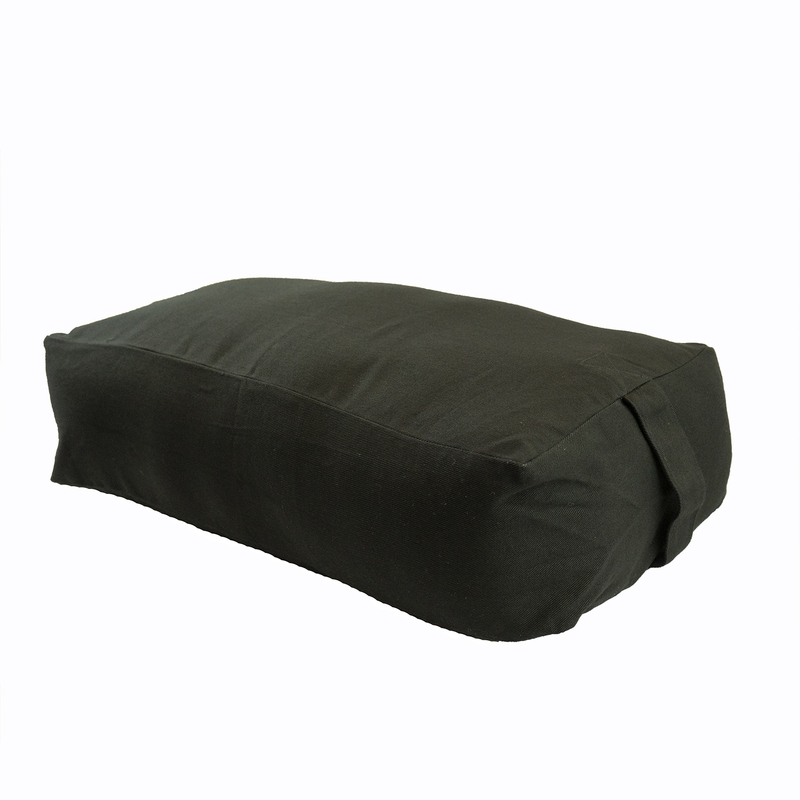 Our MaxSupport Deluxe Rectangular Cotton Yoga Bolster is the big daddy of all yoga bolsters! Weighing in at a whopping 9+ pounds, this is the largest yoga pillow on the market. The super dense, extra firm yoga bolster comes in five nature-inspired color options and offers the most support to enhance any yoga practice, meditation, or restorative poses. Our cotton bolster is oblong with two handles: one on each end. This bolster is stuffed with 100% cotton batting and features a zippered, removable outer case -- also made from natural, machine-washable cotton. As opposed to synthetic foam stuffing, cotton will naturally settle over time, so when you receive your bolster, the actual dimensions may be slightly larger than our projected size of 24" L x 6" H x 12" W.
I was looking to get a bolster and came across this one. I got the purple and it's a BEAUTIFUL color. It's got a nice firmness to it. I am really happy with this. So glad I purchased this bolter. I am plus size and this gives me the support I wanted. Wouldn't hesitate to recommend or buy another myself! This was EXACTLY what I was looking for. I use this when sitting on the floor like I used to when I was younger. It is very supportive and can be used in many different "sit"-uations. It is a delight to use this bolster in my yoga practice. It provides a really firm support while used in different positions and it's built with a highly resistant and fresh removable zippered cotton case. Loving it! I have purchased four of these bolsters over the past couple of years for private yoga sessions. They hold up very well, are of great quality, and if I ever need more, I will get them here! I bought this bolster, hoping to use it as both a knee pillow and a meditation pillow. It works wonderfully as a knee pillow, but is a bit on the bulky/tall side as a meditation pillow. I've still got a few things I can try, in terms of meditating on it, but pretty happy with it overall. I got this to use as a back rest when propped up with two blocks, for a goddess rest pose after doing prenatal yoga at home. It's perfect, very sturdy. Too tall for doing child's pose and using as support though. I bought two bolsters and use them for restorative poses and meditation. They’re great quality and a solid construction and recommend this for anyone who needs high and firm support in various poses. Very pleased with quality, price, and quick arrival.